Transformation Of The Week - Vince DelMonte. 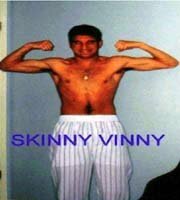 My nickname was 'Skinny Vinny' all through high school and even when I went to University where I thought I escaped the embarrassing name ... a roommate brought the name back to life. Learn how I went from 150-pound kinny, to a robust 190 pounds. 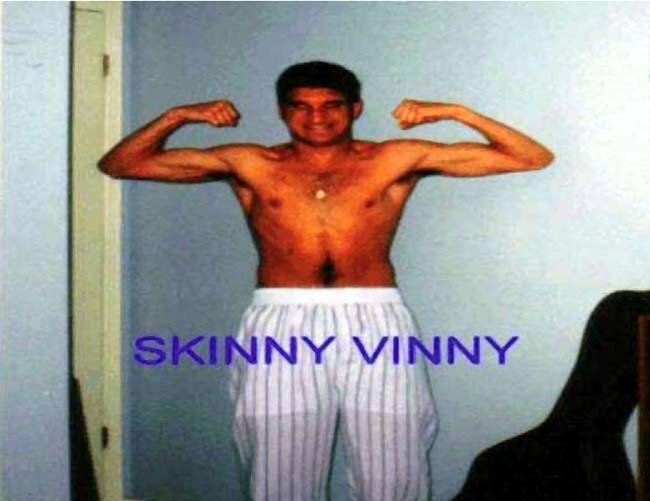 The "Skinny Vinny" Transformation Story! I always had a fantasy with bodybuilding and in my words, 'getting buff.' It was actually worse at the University because all of my room mates worked out, and literally had 6-packs. I know the ladies didn't sympathize for guys who could do their laundry on their stomach! Check out this pic to see that I'm not lying. You can see me, second from the far right, the only guy in the pic without a 6-pack! I never registered more than 150 pounds dripping wet. Since my background was in long distance running and triathlon. I even earned the nick name 'Slow-Twitch' which made it equally hard to put on muscle when I attempted weights in my season. You can see how thin I was when I competed. Fortunately I was able to overlook the embarrassment because I was successful in my sport. 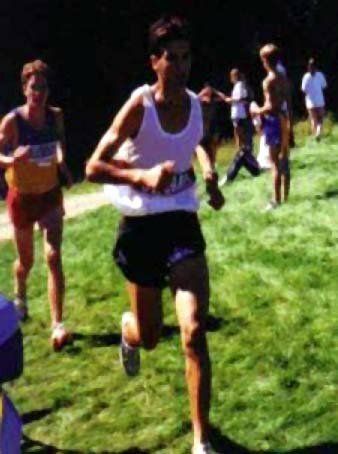 I represented Canada in the Triathlon and ran for the University of Western Ontario Varsity Track team and Cross Country team for 4 years; I was even nominated Captain in my final year. Although I can tell you those skinny runners don't get first choice of the ladies over the football and hockey players! All the way through University, I dreamed for the day to graduate university and hang up my running shoes so that I could make my fantasy a reality! My mission was to get as ripped and buff as possible. On May 1, 2002, a few days after I received my diploma and no more eligibility, I took "Before" pics and began my quest to build a beach worthy body! The week I graduated from the University was also the same week that I ventured into the fitness industry as a personal trainer. The only problem was I didn't have a physique that screamed 'pimped bod.' I was motivated to transform my physique so I could use my transformation and physique as a marketing tool to build a clientele! Check out my lame double biceps pose! I think that pic says more than words can describe! I was desperate for a new body! 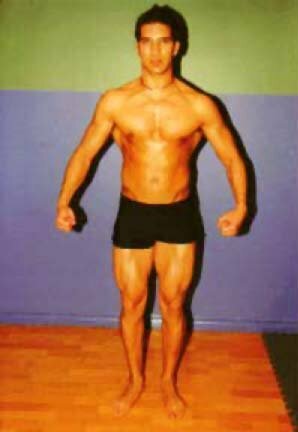 I trained for 6 months and by the end of October 2002 I had reached my first transformation. Not bad! 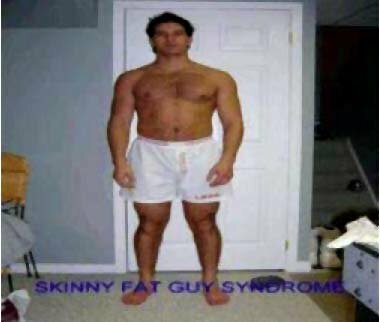 However, I discovered the worst physique a guy can have personally as I started to turn into the dreaded 'Skinny Fat Guy.' You know what I'm talking about? The guy who is naturally thin but has high body fat percentage because he eats like crap on the weekend and doesn't deserve to look half decent with clothes on. But really, underneath the shirt is an accumulation of pizza, wings, nachos and beer that is creating a mini spare tire! Well that was me! 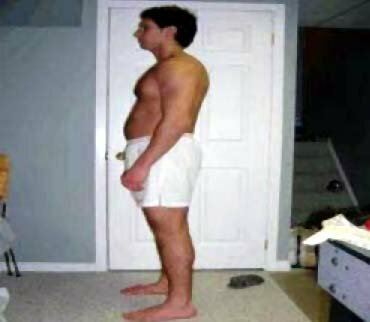 Long story short, I took a few PICS of myself in the first week of January 2005 and was disgusted and not going to settle for the 'Fat Skinny Guy Syndrome.' This called for destination transformation part 2! Attached are recent pics of my 12 week body transformation that began some time in the first week of January 2005 and ended the first week of April 2005! I'm not the biggest guy in my final Pics but was pleased with the physique I created! Check out my most recent update! After I took my final Pics I met a fitness model, who happened to live minutes from my house, by chatting through a fitness Forum. We hooked up for a blind date after conversing on MSN (God bless MSN) and the rest is history. She influenced me to compete together in the FAME fitness model show June 9, 10, 11 in Toronto, Ontario and we are now dating! Here are some pics to show you I'm not lying! 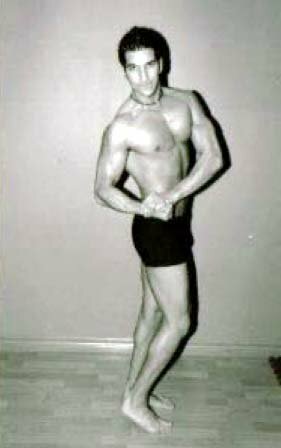 Like I said, the week I graduated University was also the same week that I ventured into the fitness industry as a personal trainer. I began my quest at a local YMCA that only carried a few benches and free weights (no fancy equipment here). At the time, I probably should have started with a total body workout but instead followed a 5-day split Monday to Friday right from Muscle and Fitness. I believe it was chest, legs, back, shoulders, arms. I trained each muscle for close to an hour with multiple sets and multiple exercises. I performed 4 sets on each exercise using a descending pyramid (12-10-8-6) rep scheme. I increased the weights 5 pounds every set and aimed to start 5 pounds heavier on each exercise every week. I got huge strength gains with this method. I have the entire 6 months recorded in my log book. My main goal was hypertrophy (hypertrophy is simply based on the principle of doing more 'work' than last week). Therefore I manipulated the volume, intensity and frequency of my workouts by doing more sets, more weight, more reps, supersets, tri sets, partial movements, 21's, shorter rest, slower tempo, drop sets, wave loading and anything else that fatigued the muscle beyond the previous week. Hypertrophy-Specific Training (HST) is based on physiological principles of hypertrophy first discovered in the laboratory. These principles were then organized into a method of mechanically loading the muscle to induce hypertrophy. Why do I say this was 'smarter?' Probably because I didn't prescribe myself to a program set in stone. I simply used different tools to take my muscles beyond the previous week's intensity. That's why I call it instinctive training! You never get bored because theirs plenty of variety. I used the mirror to monitor my process and 'log' my process. Remember, your body has no idea how much weight you lift or how many sets and reps you do. It only understands how much tension, fatigue and stimulus you expose your body to. As long as you do more 'work' than the previous week, you should change. Your body gets stronger while you rest. I discovered that I need to take a half week off completely to let my body recover or else I will burn out and not move forward. And I take a complete week off every 12 weeks. It's amazing how your strength goes through the roof when you come back fully recovered! I always switched up the order of exercises and prioritized my weaker muscles by doing them earlier in the workout and earlier in the week. As for exercise selection, I stuck to mainly all the bread and butter movements: Presses, pull ups, chins, rows, squats, deadlifts, curls and pressdowns. You'll notice a lot of rest days. I found the extra rest prevented injuries, improve focus and I always seemed 'fresh' when I trained! For my first transformation I basically put in the same effort I once put into my running but into the gym instead. I stopped running completely for almost 6 months because I could not afford to lose my hard earned calories! Until this transformation, I never understood how much importantance your nutrient and caloric intake plays. I used a strategy John Berardi shared with me. Simply fill up a jug with your goal water intake and bring that to work with you. Before you go to bed, make sure the jug is empty. I used about 1 gallon per day, let me tell you how hard that was to drink all that a day. Now, it's habit! I guess as a hard gainer I could afford to cheat more than others. Because of this, I applied the 'see-food' diet principle. "See" food, eat it! I know the gainer shakes had a huge role in overloading my metabolism to retain calories to grow. Wow. It was a change in mind set and habit that contributed to my success in the area of eating. For my most recent transformation I followed a meal plan based on 'The Zone' that was designed in phases. It was periodized in 1 month blocks based on my goals. The first month was dedicated to advanced fat loss, the second month to muscle hypertrophy and the final month was called elite which was basically getting me contest ready. I've never had a problem with being self-motivated; most endurance athletes are very motivated and self-driven. Graduating from the University with a Kin degree helped a bit but I also read a lot of magazines articles, books and websites to keep me motivated. The information on Bodybuilding.com really helped in educating me on how to reach my goals. This is where I got all my initial programs for my first 6-month transformation. One of the biggest influences in my training was when I met Matt Cragg, a Physical Preparation Coach who was mentored by the famous Ian King. I would have say Ian Kings material influenced me the heaviest in my way of thinking and training. If you've studied his material, you know what I'm talking about. I learned what it meant to train smarter and not harder! Also, my current boss, Murray Middelmost would have the second greatest contribution to my knowledge and redefined the word 'intensity' for me! He was the first person who was able to make me puke at the end of a workout ... and it was a full-body workout! As for nutrition, John Berardi would have the greatest influence. I was fortunate to have him as a professor at the University and soon called him the "Bible of Nutrition." I will have to thank Patrick McGuire too, from Empowered Nutrition Systems who designed my most recent 12 week nutrition program. He told me to just trust the program and follow it to a T. I did just that. I believe that your success is completely related to the amount information you have! I live by the principle 'you don't know what you don't know' so I was constantly seeking out new information, testing it and learning through trial and error. If I wasn't changing, there was always a reason and my job was to seek out that information from those who had what I needed to be successful. Make A Plan, Then Work Your Plan. That goes from your workouts and meal plans and supplementation. Write out a structured and progressive workout program that is periodized by volume and intensity. Same with your meal plan. Create a meal plan in phases i.e. month 1- fat burning, month 2- muscle building, and month 3- cutting up etc. Know exactly what you are going to do at the gym before you get there! Progressive Overload. I would always make sure I accomplished more 'work' than the week prior. Work defined as: more sets, more reps, shorter rest, more weight, higher intensity, or change in tempo. Basically any variable that makes the workout tougher. "See Food Diet". I knew if I was not growing, I was simply not eating enough and re-wrote the meal plan to adjust. Recovery. Remember, your body is not growing in the gym, it grows when you go home to rest, eat and refuel. If you're not improving, than your body is overtrained and still recovering from the previous workouts. Variety. Your body requires new stimulus. Your metabolic and neural system need to be exposed to variety in exercise selection, sequencing of exercises, prioritization of muscles, and various angles of movements and training methods. Learn Proper Lifting Techniques. Your body has no idea that you are in a gym, it only understands how well you isolate and fatigue the muscle. This requires strict form; a concept you will not understand until you actually 'feel' it! Stay Balanced! Remember we are made of body, mind and spirit! The body is only one dimension of our being! Don't neglect your mind and spirit! They are not truly committed to their goals. They do not create new habits and do not become a different person by habit. They do not take the appropriate action. You Could Be Our Next Transformation Of The Week! Male Transformation Of The Week. Female Transformation Of The Week. Through with giving excuses, these ladies have given themselves the bodies they always wanted!